Minister of Highways and Higher Education Lakshman Kiriella represented Sri Lanka to attend Atal Bihari Vajpayee's funeral in Delhi. 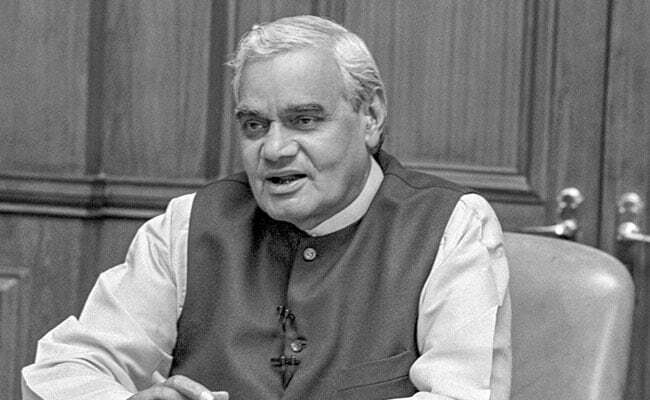 Atal Bihari Vajpayee was one of India's most charismatic leaders. He died yesterday at the age of 93. Sri Lankan President Maithripala Sirisena and prime minister Ranil Wickremesinghe have condoled the death of Atal Bihari Vajpayee and said the former Indian prime minister played a vital role in ensuring stability of the island nation. Atal Bihari Vajpayee, one of India's most charismatic leaders and inspirational orators, died yesterday at the age of 93 in New Delhi. Mr Sirisena took to Twitter to condole the death of Mr Vajpayee and said: "Today, we have lost a great humanist and a true friend of Sri Lanka. Former Prime Minister of India Atal Bihari Vajpayee was a visionary leader and an ardent defender of democracy. My condolences to his family and millions of his admirers around the world." Ranil Wickremesinghe said that he enjoyed good relations with Mr Vajpayee between 2002-2004 during his previous tenure as Sri Lankan prime minister. "I am deeply saddened by the death of Shri Vajpayee who was a true friend of Sri Lanka. He played a vital role in ensuring stability of Sri Lanka. I will continue to treasure the memories of my friendship with this great man," he said. Sri Lanka is sending Minister of Highways and Higher Education Lakshman Kiriella to represent the country at Atal Bihari Vajpayee's funeral in New Delhi.